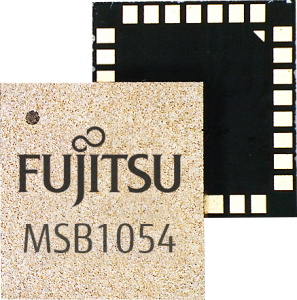 The MSB1054 multi-receiver module requires no external components and has built-in Flash memory, meeting needs of smartwatches, fitness trackers, logistics and navigation. 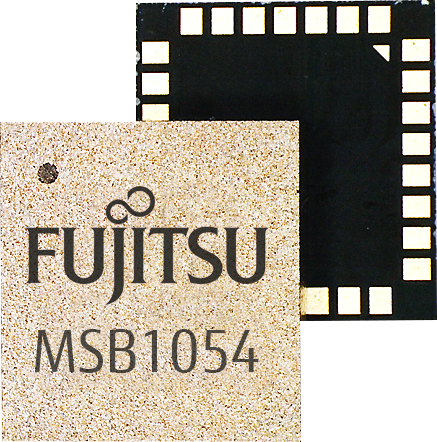 Fujitsu Electronics Europe (FEEU) is expanding its ultra-low power portfolio to include a multi-receiver GNSS module: the MSB1054. 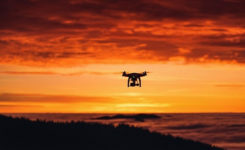 The ability to receive signals from several satellite systems significantly reduces the time to first fix, providing for faster and more accurate positioning, the company said. 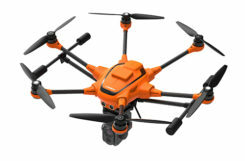 Besides the GNSS device itself, the MSB1054 provides a built-in RF-front end (SAW filter, low-noise amplifier) as well as a temperature compensated crystal oscillator (TCXO), so with the exception of an antenna no external component is required. 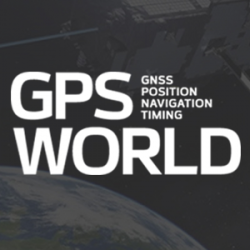 Furthermore, Fujitsu’s GNSS module is equipped with a built-in Flash memory for quick “hot start” to save the navigation data and further optimize performance. With its dimensions of 5.8×6.2×1 millimeters and 3.4 mA current in low-power mode (such as for tracking), the MSB1054 is designed for a variety of applications such as smartwatches, fitness trackers and asset tracking, and can navigate indoors or outdoors, the company added.